Update: Time for Another GBP/USD Bounce? Is Cable’s trend my friend this time? I hope so! Last week I told you about my entry at 1.6468. Well, I decided to double up! I was watching GBP/USD closely last Friday and I saw that price had finally broken above the 1.6650 area. I decided to move the stop of my first position to break even and open another 0.50% at market (1.6694). Let’s see if the breakout leads to a journey above 1.7000! What do you think? 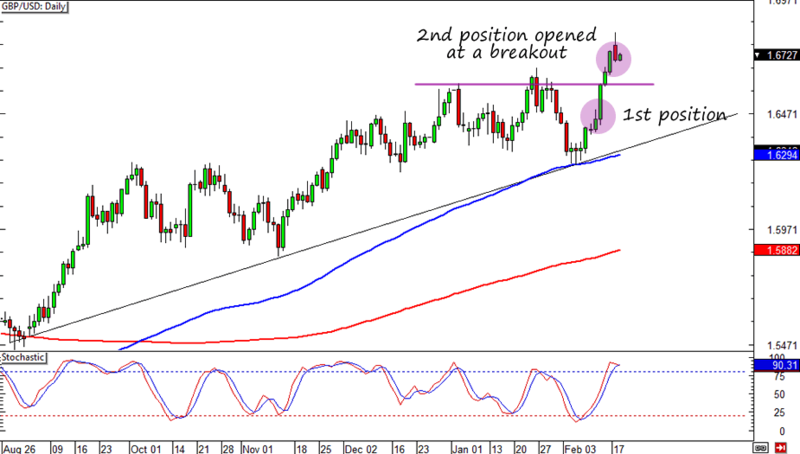 Is GBP/USD’s uptrend over or should I hold on to my positions?